Conservative firebrand, Ann Coulter, will be debating James Carville at the Bakersfield Business Conference on October 8. 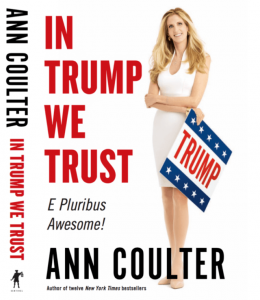 Coulter fans should consider themselves doubly-blessed, because Ann also has a new book just released last week entitled “In Trump We Trust: E Plubris Unum.” The book will be available at the Stars & Stripes Pavilion on the conference grounds, but Amazon.com has a terrific price if you’re interested in picking it up beforehand. James Carville, who has been an audience favorite at the conference and who we affectionately referred to as “the speaker our crowd most loves to hate,” also has a new election year book available. 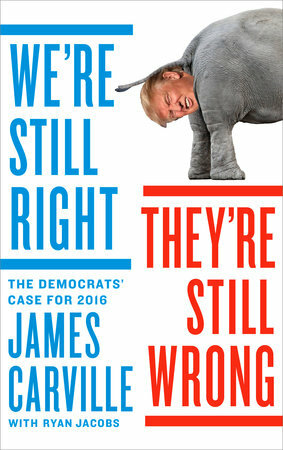 His book is entitled “We’re Still Right, They’re Still Wrong: The Democrat’s Case for 2016.” It’s also shipping from Amazon. Carville has proven himself a very effective debater with a penchant for entertainment and dark humor. We expect this debate will be one of the most entertaining parts of the day. We’ll conclude the Conference with our traditional fireworks extravaganza, but it’s not clear when people in the days and weeks that follow will be talk about the fireworks whether they’ll be talking about the pyrotechnics or words exchanged by these two during the big debate. Who do you think will be most persuasive on October 8?